What are the most popular small breed dogs in America? 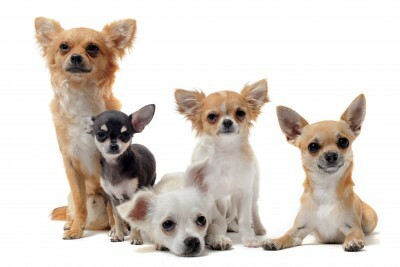 If you have your heart set on one of these little dogs, you might be curious to know which ones are the most popular. Do you wonder where all these popularity statistics originate? In the United States, Each year the American Kennel Club Releases a list of most popular dog breeds based on registration figures. This data is available in February of each year. But, surprisingly, popular dog breeds in America are also very popular world-wide. Though the list changes from year to year, many small breeds still remain popular. This is only part of the answer though, because the statistics do not take into account the growing number of designer breeds people own and they don’t list rare breeds, or dogs that are not registered with the AKC. Many pet owners have purebred dogs as pets but neglect to register them. They are not counted into the statistics. Even so, this is the best estimate of popularity we have in the United States. Their small size makes it easy to manage them, keep them in tiny house, apartments and condos and they do well in city living. They are portable and can easily go everywhere in carriers and small purse size containers. They are more economical in that they eat less and easier to clean up after and they require less exercise. Most are good with a wide variety of people: families, singles, seniors and inexperienced dog owners. What Else Contributes to the Popularity of Some Breeds? Is the Movie Effect Dead for Popular Small Breed Dogs? Yearnings for a particular dog breed due to its popularity in a movie no longer reflects a desire for that breed like it once did according to some recent research and explained by Julie Hecht. Does Looks Have Anything to Do With It? Few people would deny that the dog's appearance plays a big role in their decision to buy or adopt. Think about what a dog's look does to you - Smushy faces that look almost human, big round eyes that stare straight at you, or long droopy ears that make the dog irresistible? Maybe you prefer the feel of soft silky hair or the enticing smell of puppy breath. Beauty is in the eyes of the beholder, or so I've heard, and everyone has their own definition of attractiveness. How many times have you fallen in love with something a friend possesses? Or perhaps you are persuaded by an influential person who you've grown to trust. If that influencer also happens to have a very popular dog breed, it's not difficult to see how one might choose the same breed. It goes without saying that for a dog breed to become popular, it must be locally available. Even if you fall in love with a specific breed, it may not become popular if the closest puppy is only available on the other side of the world. Just the logistics and cost of getting your puppy from one part of the world to another part can be difficult let alone all the legal issues involved. With that said, the most popular small breed dogs in the world are surprisingly similar. The following breeds are in order according to popularity. They only represent small dogs under 25 pounds and exclude all others. That is why you see gaps in the popularity numbers. It's not hard to explain why the affectionate French Bulldog is the most popular small breed dog. 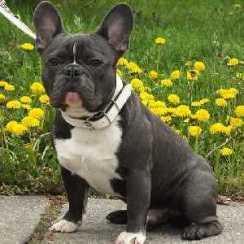 The Frenchie as they are lovingly referred to are bright and charming, a breed that doesn't bark much and are adaptable to just about any living arrangement, singles, couples, families and seniors. They get along well with other dogs and enjoy making new human friends too. They are the quintessence companion dog that can amuse and entertain their human counterpart for hours. 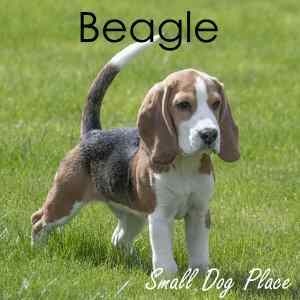 It's hard to dislike the happy-go-lucky Beagle whose is happy and loving and an all-round family pet. Once known for their hunting ability and are still used for that purpose, today's Beagles are more companion than hunter. They are affectionate, friendly and playful. They love adults and children alike, and enjoy playtime about as much as any hound breed. Not big barkers, but they will let their presence be known if the occasion arises, they thrive on being part of the human pack. Still, they are a proud member of the hounds and have maintained many of those hound instincts that made them loyal companions on the hunt and beyond. 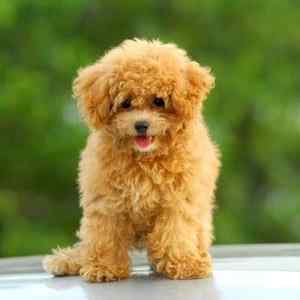 Poodles come in three sizes, but the smallest or Toy is the feature on this site. They are incredible smart, adaptable and versatile. Expect a great athletic and an easy dog to train. Grooming is a bit of a challenge but can be accomplished through regular visits to professional groomers. 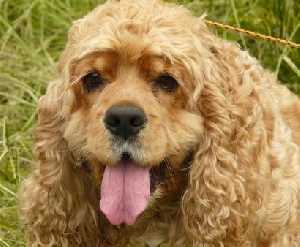 They generally make excellent family dogs and do well with singles, couples and seniors. Remember their exercise requirements and their need to be challenged mentally as well as physically. 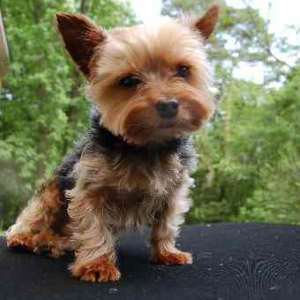 Don't be fooled by the dainty, diva appearance of the Yorkie. They are small but much of their terrier background can still be seen in the breed. Remember terriers were developed to to hunt and kill rats in mines and mills of the 19th century. They may have been larger then, but they still retain the "little dog with big attitude" temperament. From Victorian ladies to today's discriminating buyers, these dogs fill the roll of companion and ultimate lap dog. Expect to share your lap and pillow with your Yorkie as you develop a deep bond with this tiny terrier that may be more of a toy than a member of the terrier group. This little breed comes in a variety of forms, something for everyone. Two sizes and three coats, there may be a dachshund for everyone. The Dachshund's appearance is unique with a long back and short legs coupled with a big personality that appeals to a wide range of dog lovers. 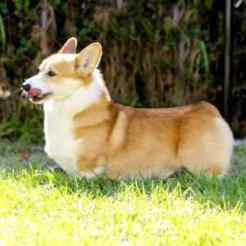 Look for standard size dogs that are between 16 and 32 pounds or miniature varieties which are 11 pounds or under. Your next choice is hair length and texture: Choose between smooth, wire-haired or long haired. 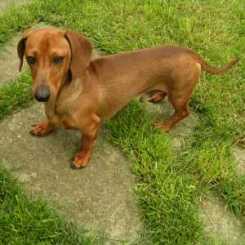 With so many choices, anyone looking for a tiny hound, the Dachshund is your best bet and it's not just in the U.S.A. Here's an example of a rising star. Moving up in popularity, there is a major reason why these dogs are on the rise. 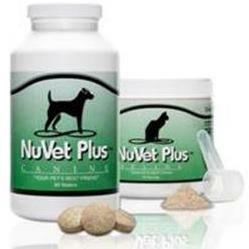 They are still small enough for a small dog lover, yet powerful enough for mid size to large dog lovers. As a herder they can accomplish a good day's work due to their quick, agile abilities. As a family pet, they seem to be the dog with the perpetual smile. Whether that smile represents a happy disposition is still out for debate. The Pembroke is smart, sensitive and loving to their human family. 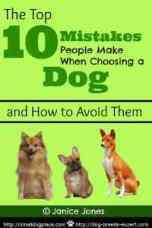 They can be a herder, watch dog, or loyal family dog. 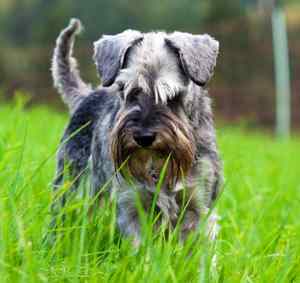 Many Schnauzer owners will tell you that they will never own another breed once they have fallen in love with one of these loyal companions. They are active but do fine on a couple of walks per day and the rest of their exercise can be satisfied indoors through play and following you around. Expect to pay for professional grooming every couple of months unless you plan on doing it yourself. They are easy to train which makes them ideal for just about any new owner, single, couple or family. Check them out. You may find this is the dog for you. 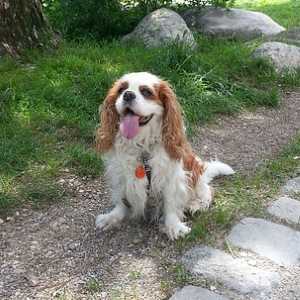 Cavalier King Charles Spaniel: Number 19 of the most popular small breed dogs. This is one breed that is gaining in popularity over the years and rightly so. They are lovable, gentle, and the quintessential lap dog and bed warmer. At 13 to 18 pounds, they may be one of the largest small breed dogs, but one of the smallest member of the Spaniel family. They have all the attributes that a family dog should have: affection, playfulness, loving nature, and great with children. They are even good with other dogs. One of the biggest drawbacks of this breed for some is their shedding. They would not make a good choice for someone with allergies. Shih Tzu owners will chuckle as they tell you that their breed is like potato chips, you can never just have one. Once someone falls for this breed, they become devoted Tzu lovers for life. But what makes these dogs so special? For starters, it's nearly impossible to resist those big round eyes staring at you or the flat face that is almost human like. 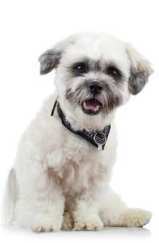 Looks are not everything and Shih Tzu dogs have enough personality to complement their stately appearance. Adaptable, friendly, loyal to a fault, and people pleasing, these dogs are a good choice for families, couples and singles. Grooming is a factor that shouldn't be ignored as these dogs will need plenty of brush time. Bostons are highly intelligent and love to learn therefor training is easy peasy. They also do not require any special exercise, only excessive love. 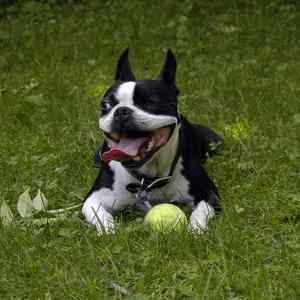 Bostons can entertain anyone for hours on end because of his or her sweet-nature, clown-like personality. They can be the center of attention and the spotlight of the room, but they are also known to have the ability to clear the room. That’s right, they’re very gassy. Beyond the gas, any other downsides to this breed? Their excited nature makes them somewhat hyperactive at times and they do need an owner willing to provide enough stimulation, both physically and mentally to keep these little ones happy. Couch potatoes? Maybe not. 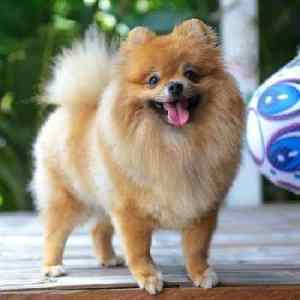 Poms are basically the epitome of a big dog personality in a little dog. They have a ton of personality and demand attention and pampering. Even though they are small dogs, they are also very sturdy. Poms are the type of dog that loves to please others. They cannot get enough attention and affection from their owners. Although these dogs are pretty athletic and energetic, they do not need an excessive amount of exercise which makes them ideal for busy people. Grooming requirements may be the deal breaker for some people as they require brushing daily and bimonthly visits to the groomer. Some of the dogs are yappers so try to squelch that habit early. If you’re looking for a very adaptable, amusing and overall humorous dog, then this breed could be the absolute perfect dog for you. 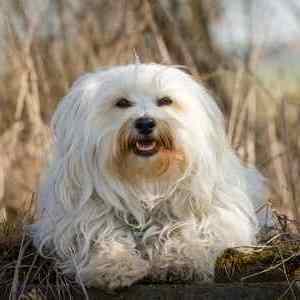 Watch a Havanese walk and you'll notice a tiny spring to the step. This is caused by front legs that are slightly shorter than back legs. Many people find this little bounce too cute for words. This little bounce makes everything they do even more amusing than it already is. These little guys are very cheerful and smart, but can tend to be mischievous and occasionally naughty. Training and socialization should begin the day you bring them home. 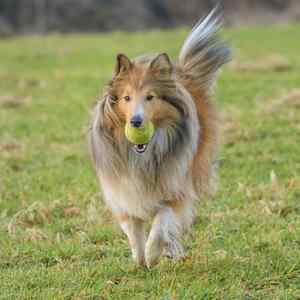 Shetland sheepdog owners will tell you that their favorite breed is intelligent, loyal, and affectionate and they are absolutely right. Originally developed to assist farmers with herding sheep, they still retain their herding and chasing habits, so it’s not inconceivable that your little Sheltie will try to herd your toddler. Their intelligence makes these dogs a breeze to train and their work ethic makes them ideal for a wide variety of jobs including medical alert and therapy dogs. Their athleticism can be seen in their ability to excel in agility, rally, herding, flyball, and tracking. Gentle, affectionate, and loving, Cocker Spaniels are the perfect family pet, and they also fit comfortably into any home. These little guys, also known as “Cockers” are absolutely stunning to look at with a personality to match. They are sweet, loyal, and playful--Perhaps the sweetest dogs you will ever meet. Don't get one for their watch dog ability as they are way too friendly to everyone that they meet. Down-side? They do have grooming requirements that may be too much for some and expect some health problems from time to time. Here's an all-round happy go lucky breed that has something to offer everyone. If you have a very laid back lifestyle and like to sit on the couch, watch movies, and eat snacks, then your pug with sit there right with you. On the other hand, if you are very active and love to go biking, or surf, then bring him with you, and they will adapt to that lifestyle. They are playful, affectionate and friendly with everyone, children, strangers and even other dogs. 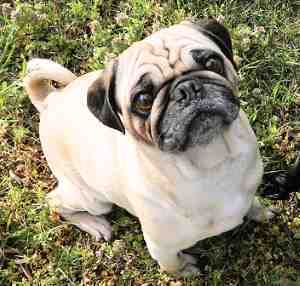 Expect some issues as this is a brachycephalic breed that can be prone to the breathing problems that accompany the syndrome. For those who love the breed, they would say that cute hardly describes this little one—but cute, fun-loving, loyal and intelligent have made the breed one of the favorites among small dog lovers and celebrities alike. The breed is known for its agility, fearlessness and cheerful demeanor. The perfect purse pet, it is often referred to as Teacup, Pocket Size, Tiny Toy, or Miniature. While they may be the best choice for a single or couple, these dogs don't make a great choice for a family with children. Their delicate frame and small size does not bode well with rough and tumble play. 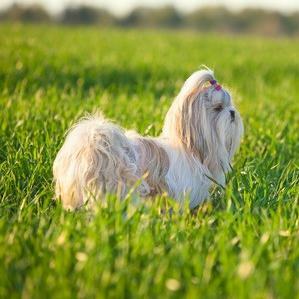 The AKC standard describes the Maltese as being “gentle mannered and affectionate.” They make great watch dogs because they never seem to miss a new sound. While being very affectionate with his owners, he is also an individualist and may not take to strangers at first. He is quite fearless, often to the point of wanting to protect his owners, but don’t expect him to be a true guard dog. No small dogs can take on that role. They have a regal appearance and their long silky hair may be hard to resist for some people. 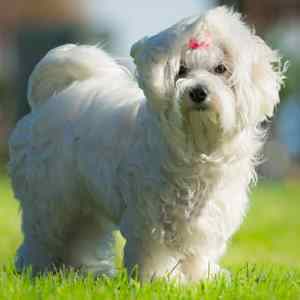 Still most owners keep their Maltese trimmed in a puppy cut to avoid the long hours of grooming. 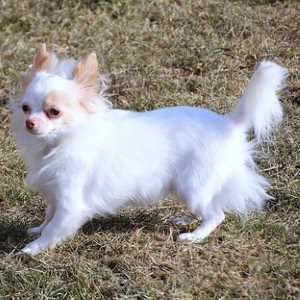 In 2018 the UK, the kennel club, in the UK reported these small dogs as being in the top twenty most popular small breed dogs in Great Britain. They also publish the actual registration figures in addition to the rank. These dogs are in order according to popularity. Here are the most popular small size dogs in Australia based on the Australian National Kennel Club (Year end 2017). 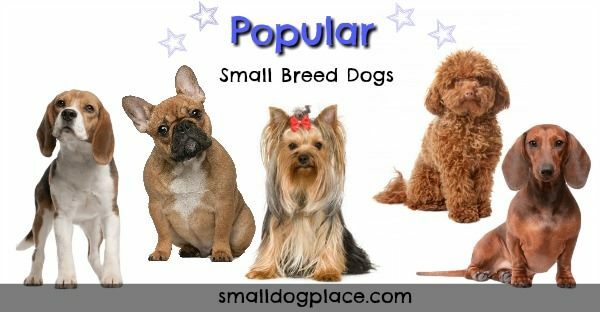 The breeds are listed in descending order from the most popular to the least popular. The number following the name represents the number of dogs of that breed that were registered. So far, the French Bulldog tops the charts in three of the top English Speaking countries. 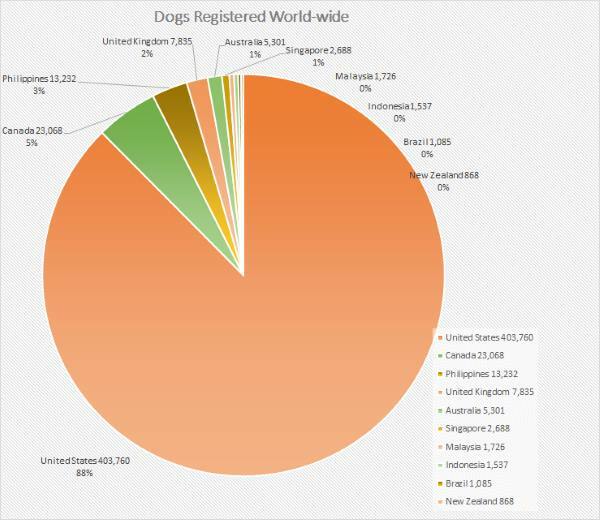 The world loves dogs, but the number of registered dogs varies widely from country to country. Not surprisingly, the United States tops the charts with a whopping 403,760 registered dogs according to Statistics Brain. It's obvious that there are far more pure-bred dogs registered in the United States.